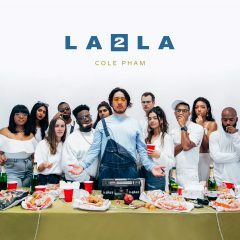 Cole Pham, a recent graduate of the Music Industry program, released his second studio album, LA 2 LA, late last year. The 10-track album illustrates Pham’s journey from his hometown of Lafayette, La. to Los Angeles. Pham, who released his first album while still in high school, credits USC Thornton as the place where he was able to musically “take the training wheels off.” The musician graduated in December 2018 and is currently a Financial Management Intern for Parr3 LLC.